Workplace stress is becoming a big issue for employers. 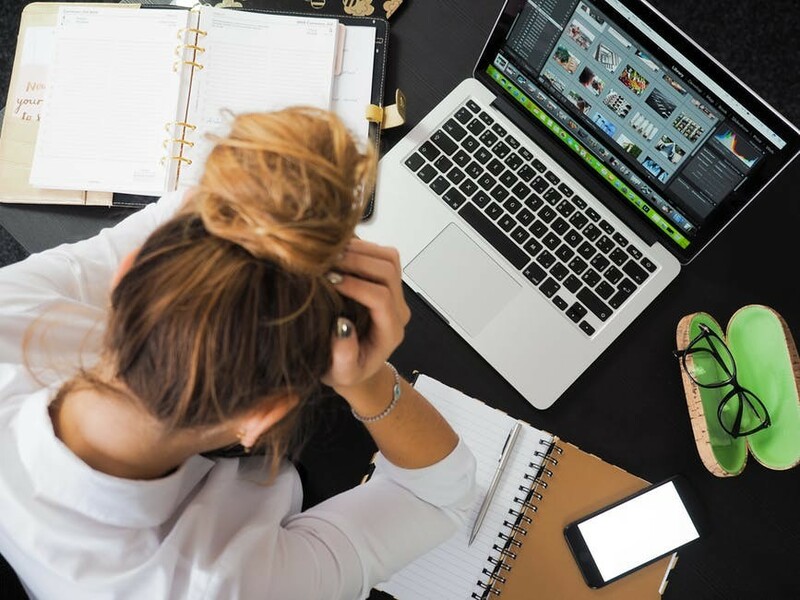 Although a small amount is normal, excessive stress can have a serious impact on the productivity, health and wellbeing of workers. Stress is a natural human response and cannot be avoided completely, but there are things we can do to help reduce the effects it can have on the mind, body and performance. In addition to the mental strain, stress has also been linked to physical health problems such as a weakened immune system, high blood pressure, heart problems and weight loss/gain. It is also likely to affect home life and relationships, bound to demotivate even the hardest of workers. A happy workplace is a productive one – so to help, we’ve put together a list of top tips when it comes to minimising stress in the workplace. It’s quite surprising how much stress can be caused by the lack of effective communication. Team projects can often become stressful due to lack of guidance, responsibility and clarity, rather than the actual task in hand. It’s important to have an efficient method of communication in place between supervisors/managers and employees. Employees should feel that they can ask any questions they have and receive guidance whenever they may need it. Employees who feel they have a strong support system and a good understanding of what they have to do are more likely to be confident and productive when completing tasks. Frequent communication between managers and employees will help employees voice any problems they are having, without worrying about any negative consequences. For example, if they are struggling with problems in their personal life they can speak to a manager about their options, or if they are struggling to cope with the workload they can take actions to release some of the pressure. This open-door style of communication can have a very positive effect on performance as instead burning out, problems can be quickly identified and solutions can be found. There are many things employers can do to encourage their employees to be healthy. Employees who are happy and healthy at work are more likely to handle workload, meet deadlines and approach problems more logically. There are numerous ways to help improve safety culture, for example provide free healthy food in the office or by offering discount on gym memberships – these both can help improve cognitive functions, like concentration and problem solving. Another great idea is providing a breakout area where employee can relax and develop stronger relationships with each other. A ping pong table or a pool table are popular ideas, they can help employees de-stress as well as increase team working skills. Host weekly competitions, quizzes or tournaments to encourage employees to get involved! A survey by YouGov found that in a survey of 4,619 adults, 32% get stressed by thinking of work in their personal time, 23% compromise their health to get work done and 16% compromise relationships. Even though stress itself isn’t classed as a mental health problem, constant stress can lead to conditions such as depression and anxiety. Mental health absence is the fourth highest cause of sickness absence according to the Office for National Statistics, with 45% of stressed workers make up an alternative reason for their absence. It’s clear that in modern society, workers are under increasing pressure from employers, especially those in the public sector with the strain of lack of funding. It can be easy for employees to feel overwhelmed, making it hard to complete jobs productively. That’s why these dedicated days can be an effective solution, it gives employees time to look after their mind and relationships. This can involve spending time with friends or family or just relaxing and return the following day feeling refreshed and ready to get back into work. ‘Mental health days’ or ‘wellbeing days’ could be separate from sickness days or included – whatever works best. A comfortable and well-adjusted environment can make a significant difference, but many directors still don’t consider workplace design and ergonomics as a good business investment. The workplace directly influences the morale, engagement and productivity of employees, which is the main reason why companies like Google and Amazon are so focused on improving their creative spaces. We can’t all have offices as cool as Google, but every workplace can make small changes to improve the design to better suit their employees. Poor ergonomics at work is the main cause of musculoskeletal disorders – one of the leading reasons of employee absence in the UK. This can include anything from eye strain to back and neck pain. Provide furniture that supports employees whilst in the workplace and ensures that it is adjusted to suit them. Chairs should have appropriate lumbar support to prevent or reduce back ache, and the computer equipment should be designed and positioned as to prevent carpal tunnel syndrome. Standing desks are a good way to stop employees from spending eight hours a day sitting. By encouraging your employees to take an ergonomics training course, they can complete a DSE assessment which helps identify any personal areas for improvement. This could be anything from incorrectly positioned display screen equipment to seat depth. This will also help establish complete employee compliance, which in turn will help improve employee productivity, increase work output and grow profits.